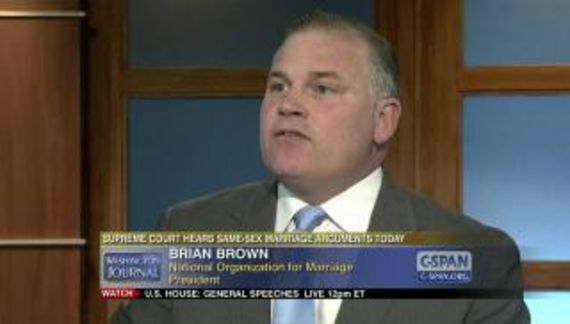 An anti-gay disbarred lawyer and former assistant attorney general of Michigan is appealing his disbarment. Apparently Trump's presidency will restore his law license. He was, according to him, persecuted by a gay-friendly grievance board that was predisposed to discriminate against a Christian. Do you all remember Andrew Shirvell? 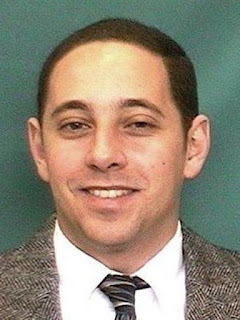 Shirvell is the schmuck who, in 2010, was obsessed with the gay student body president, Chris Armstrong at University of Michigan. Shirvell was driven to incendiary distraction by the election of a gay man to head student government. Indeed, Shirvell dedicated a vile blog to the character assassination of Armstrong. I think that the final straw for the Michigan AG was when Shirvell followed Armstrong around the campus and would linger outside of his housing. Clearly Shirvell had, um, problems with gay men. Shirvell became so unstable in his pursuit of Armstrong that he eventually got fired from his state job. In 2012 Armstrong successfully sued Armstrong for stalking, invasion of privacy, intentional infliction of emotional distress, defamation, and abuse of process. A jury awarded Armstrong $4.5 million. I do not know if Shirvell has paid any of what is due. Given that my case is one of the most politically-charged to have ever come before a hearing panel and largely driven by the vindictiveness of controversial Metro Detroit attorney Deborah Gordon, I cannot imagine a more biased panel of attorneys who sat in judgment of me. With Donald Trump now in the White House, conservative Christians like me will no longer tolerate being railroaded by the liberal elite. Panel member Margaret Costello failed to disclose when she ran for judge in Wayne County in August 2000, she had been endorsed by Pride PAC, a gay rights political action committee in Michigan. Panel member Anthea Papista was a financial supporter of gay rights and Democratic candidates. Panel member Lamont Buffington was a past member of student government at the UM Law School. Do you get the feeling that this guy never should have been admitted to the bar in the first place.